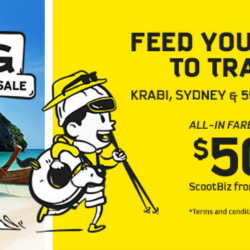 Book by 16 Apr 2019, 2pm Scoot: GTG Sale with All-In Fares to Krabi, Sydney & 59 Other Cities from SGD50! Forgot what it's like to feel sand between your toes? You gotta go! 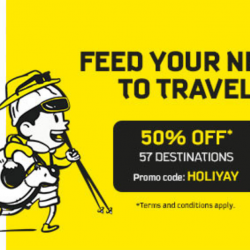 Pack your sunscreen and get your summer bod ready for Scoot's GTG sale destinations! 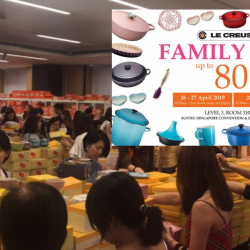 As usual sale starts at 7am on 16 Apr 2019 and ends at 2pm same day! 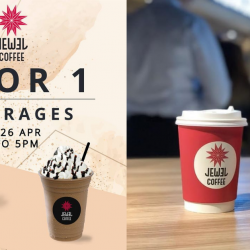 Suntec City: Redeem a FREE Kopi & Tarts Egg Tart on 15 April 2019! 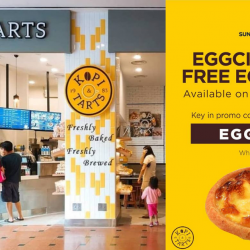 Monday just got more eggciting: Redeem a FREE Kopi & Tarts egg tart on 15 April 2019 at Suntec City! 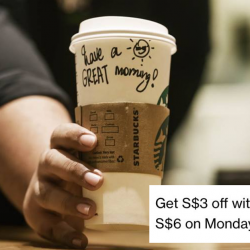 Please note that this is a one-day promotion, and there is a limited quantity of promo codes. 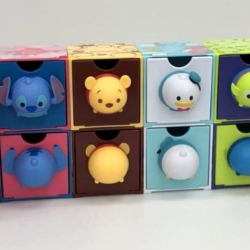 Fastest fingers first! 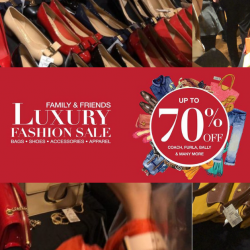 12 - 14 Apr 2019 The Fashion Gallery: Luxury Fashion Family & Friends Sale with Up to 70% OFF Coach, Furla, Bally & More! 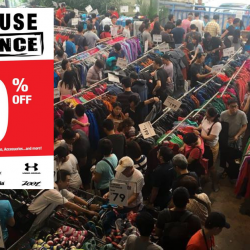 Indulge and shop at The Fashion Gallery's Luxury Fashion Family & Friends Sale with up to 70% off on bags, shoes, accessories & apparel! 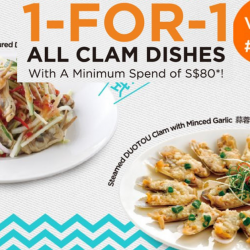 Plus, DBS/POSB card holders and Changi Rewards members get additional 3% off total bill. Terms & conditions apply. 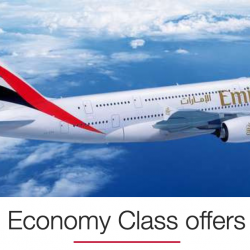 Book by 16 Apr 2019 Emirates: Sale Fares to Brisbane, Melbourne, London, Paris, New York & More from SGD565! Fly to Brisbane, Melbourne, London, Paris, New York and more on Emirates and enjoy their special fares from only $565 For travel from now till 10 Dec 2019. 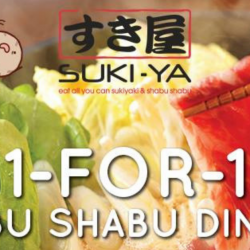 Experience their world class service today! 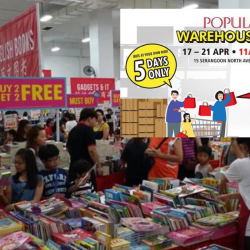 Book by 16 Apr 2019. 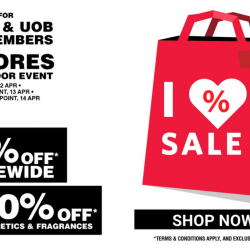 12 - 14 Apr 2019 Metro: Closed-Door Event for Metro & UOB Cardmembers with Up to 80% OFF Storewide & 20% OFF Cosmetics & Fragrances! 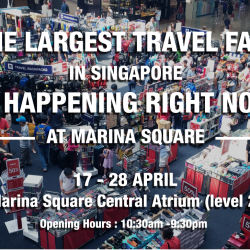 Metro is celebrating their anniversary month with a closed-door event from 12-14 April! The event is exclusively for Metro & UOB cardmembers. But don’t worry! 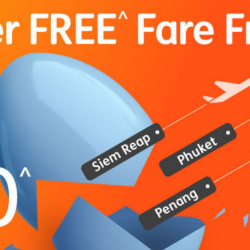 If you are not a Metro cardmember yet, sign up with them from 12 -14 April to enjoy cardmember privileges for free! 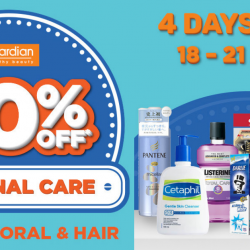 Hurry down to any Metro stores! Terms & conditions apply, and exclusions apply. 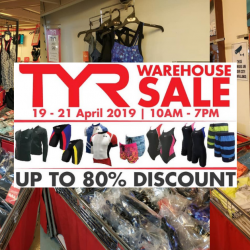 8 - 14 Apr 2019 Scanteak: Easter Sale with Up to 60% OFF Teak Furniture & Leather Sofas! 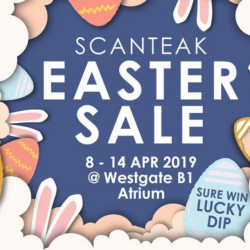 Head down to Westgate B1 Atrium from 8 - 14 April for Scanteak Easter Sale! 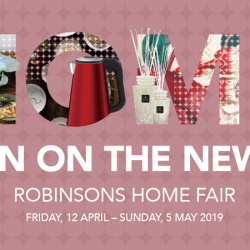 Enjoy up to 60% off teak furniture, exciting deals such as RSVP specials, Early Bird Specials and fun-filled activities throughout the week! 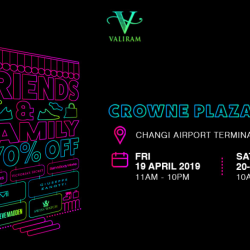 Their sister brand, Scanliving, will also be having a pop-up sale at B1 Atrium, with full leather sofas starting from $799! 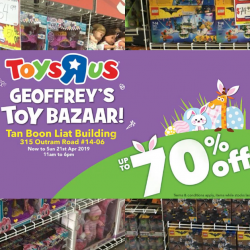 Bring along your kids to join us at the bouncy castle with min spend of $50 at Westgate and the HUNT FOR the $100 EGG, when you count the right number of eggs! Terms apply, while stocks last.